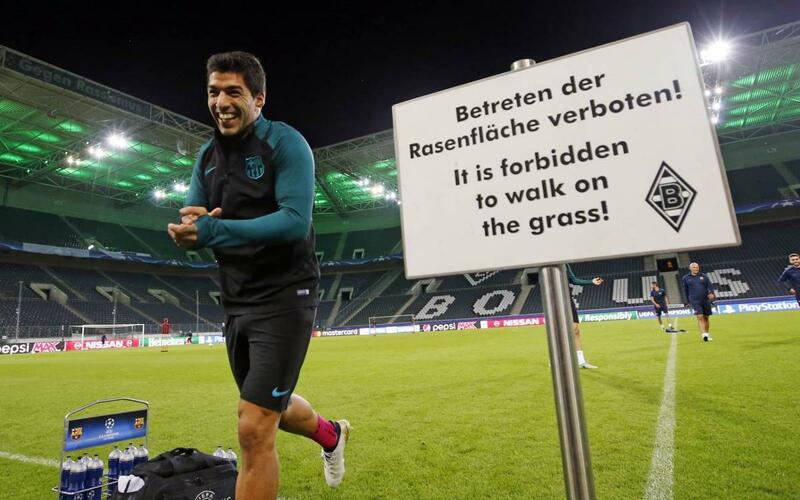 FC Barcelona take on Borussia Monchengladbach on Wednesday (kick off 8.45pm CET), and the players were able to familiarise themselves with the surface on Tuesday. The Borussia-Park is a notorious stamping ground for the German side, one where Barça will have to bring their A-game to get a good result. All available first team players took to the field for the session, including Marc-Andre ter Stegen, who knows the pitch all too well grown up and made the breakthrough to the first team at Monchengladbach. The training session took place after the German keeper and Luis Enrique had spoken to the press about tomorrow’s game.